Australians are understandably shocked at the trial and sentencing of Peter Greste. Here is an internationally renowned journalist who, by all accounts, appears to have been arrested and sentenced to a lenthy prison term for doing no more than his job (and as part of what looks on the surface to be a dispute between Egypt and Qatar and the latter's flagship network, Al Jazeera). They may, not unreasonably, ask themselves what the Government can do for those caught up in the vagaries of a foreign legal system. What can Australia do to back the impressive-sounding declaration in its passports that 'The Governor-General of the Commonwealth of Australia ... requests all those whom it may concern to allow the bearer, an Australian Citizen, to pass freely without let or hindrance and to afford him or her every assistance and protection of which he or she may stand in need'? Consulates and embassies can certainly help source counsel and other advice, and a country can make representations on behalf of its nationals. In the final analysis, however, there is not very much more that states can do to protect their citizens at all, beyond exercising what political and diplomatic leverage they have as a matter of realpolitik. Despite the globalisation of international law, the international order is still largely based on national sovereignty (as it has been since the Treaty of Westphalia in 1648). The price of this is that states are (with a few notable exceptions such as universal jurisdiction for torture or war crimes) unaccountable to the outside world for the workings of their own internal legal systems — however dysfunctional they may seem to foreigners. We do not need to look to Fatah al Sisi's Egypt to see how this can allow a multitude of injustices to go unpunished — we need only ask our neighbours, the Indonesians. While much (justified) attention has been given in the media to spying scandals and refugee politics, rather less noticed has been Australia's treatment of its neighbour's fishermen, most of whom ply their trade in small boats and are far from well off. At least two Indonesians have died while being held without trial on their boats in Darwin harbour. Others have been forcibly taken to the mainland to be in immigration detention (about 1232 in the 2008 financial year) — despite the fact that their 'immigration' was not of their making. In many cases, the Australian Government burns their boats — thus depriving the fishers and their families of a living, in addition to the other punishments inflicted on them. The hardship is made worse by the fact that Indonesian fishing boats are often not owned by their masters outright but are often loaned or collectively owned via a variety of complex structures. In at least one case (only resolved after two years), a Mr Muslimin was found by the High Court to have been detained and had his boat burned by the Australians while he had been fishing in Indonesian waters. As Emily Mitchell points out in the Guardian, all of this makes an uneasy contrast with the kid-glove treatment meted out to the Australian Navy when its ships breached Indonesian waters. There the Senate found — in a defence unavailable to the Indonesian fishermen — that breaches of Indonesian sovereinty were likely to have been 'inadvertent'; though it is reasonable to assume that the Navy has access to rather better navigational equipment and training in the United Nations Convention on the Law of Sea 1982 than the fishermen. The Indonesian Government has made representations on behalf of its nationals protesting to the Australians at these injustices, and the Australian Government has done the same to the Egyptian Government in the case of Peter Greste. In either case, there is tragically very little more that they can practically do. Justin Glyn SJ is a student of philosophy and theology who holds a PhD in international and administrative law. thanks Justin for an unusual angle. Our media gives extensive coverage to attempts by the Australian government to help our citizens overseas, but we rarely hear about other governments appealing to our politicians. Another "Each Way" Australian..Mr Greste also holds a Latvian Passport...so..even though wrongly imprisoned is he a Latvian Citizen?. The point you make about Australia's incarceration of Indonesian fishermen is fair enough, Justin. I am uneasy, though, about using the Peter Greste case as a foil to highlight it. The latter is a tragedy, for Peter and his family, in its own right and should be simply deplored as such. Focussing on the Greste case: it raises issues beyond consular defence of Australian citizens abroad. The safety of our foreign correspondents is a huge responsibility because it goes to freedom of information. I am sure that had Greste been employed by ABC or Fairfax or News Limited Australia he would be home by now, because the Australian Government throughout embassy and Foreign Minister would have become heavily involved in his protection. Australian foreign correspondents should enjoy a special kind of protection, almost amounting to diplomatic immunity. 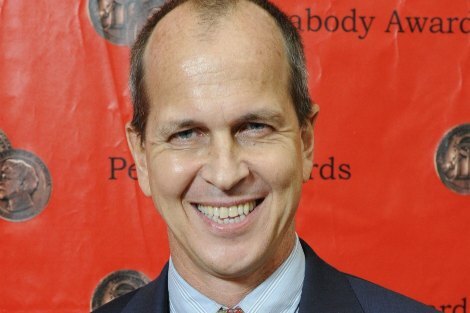 Peter Greste's misfortune is to have worked for Al Jazeera, an international agency based somewhere in the Gulf States. (Interesting that I don't offhand know where). Julie Bishop and Tony Abbott should ask themselves - are they doing as much to protect him as if he worked for an Australia based news bureau? They should be. I was not shocked by the judge's decision re- Mr Greste and his Al Jazeera workmates. Not for nothing did the judge wear sunglasses during the court hearings. Justice may be assumed to be blind in the British legal system but in a place like Egypt, stumbling in the early years of democracy, judges tend to look more at the social implications of charges brought against an accused than the actual charges. They refuse to be blinded by the sunshine of legal niceties in the courtroom. I was appalled that the Australian government (and others) thought that the Egyptians could be persuaded not follow the separation of powers between the Executive and the Judiciary (No matter what one thinks of it.) How would like it if some other county appealed to the Governor-General or the PM to interfere in the legal (?) processes by which we treat refugees and Indonesian fisher folk? Good point, Justin Glyn! Seems a bit like we have treated our Indiginous citizens.Perhaps we should calm down to await an Appeal. The shock of seeing Peter Greste’s family being informed of Peter’s sentence is sobering while at the same time, the streets of Cairo would be echoing murmurings like our own of, ‘We are sending a message,’ ‘Foreigners, do not tell us what to do.’ The difference between Peter and the fishermen from Indonesia is that the voiceless shout into the wind. Thank you Justin for the sobering recount on the fate of the fishermen who front our borders. Reading of their fate at our/my hands, again whacks me for six. Justin: If you are going to take another a swing at Australia perhaps you should compare apples with apples. The contemptible jailing of Peter Greste by the Egyptian government hardly equates to Australia’s unfair treatment of Indonesian fishermen. An equivalent situation would be Australia jailing or persecuting some journalist or whistleblower the government didn’t like – the appalling treatment of Sydney Airport whistleblower of Alan Kessing by federal government authorities for example. But condemning Australia’s callous of treatment poor Indonesian fishermen trying to feed their families is justified. While such fishermen may be encroaching on Australian fishing grounds Australia may have a legal case to deter them but not morally, especially not burning their boats! The amount of fish they could take from our fishing grounds would be quite small. Australia should turn a blind eye and see it as an indirect form of foreign aid to needy Indonesians by allowing them access to our fishing grounds. We would only really be justified in taking a tough line against big fishing trawlers from Taiwan, Korea etc with their industrial fishing practices. Jailing Indonesian fishermen is unconscionable, especially teenagers. Throwing them in with hardened criminals in Australian jails, as has happened in the past, is disgraceful. One shudders to think what has happened to them in such places. Fair points, Dennis and Brendan. Just to be clear, I was not suggesting that (possibly) illegal fishing could be equated with good journalism or trying to detract from the horror which has hit Peter Greste and his family and friends. My point was rather that governments are limited in how they can deal with outcomes in other legal systems which they don't like - and the Indonesians have good reason not to like what happens to their fishermen at the hands of the Australian Government (some of which bypasses the legal system entirely). Good point about the Indonesian fishermen, Justin. As my late father, a former (British) officer of the (pre-Independence) Indian Army, would have said "Pretty rum example we set those fellers, Eh what?" Al Jazeera is owned by the Qataris, Tony. Therein lies the problem. Qatar supported Morsi. Saudi Arabia - the financial underwriter of the new/old military order - supported al-Sisi and its predecessor, the Mubarak kleptocracy. Given the big bucks our Saudi "allies" (read Robert Baer on them!) are throwing Egypt's way our few bucks mean nothing. A Canadian national has also been unjustly sentenced. I think Julie Bishop, to give her credit, has spoken firmly to the Egyptians. Expect a "gracious" presidential pardon in the next year or three. FIFA World Cup Brazil 2014 is in the knockout stages. Brazil’s team is through to the quarter finals, much to the joy and delight of home fans. Yet to what extent can Brazilians actually celebrate? The tournament has come at much social and economic cost. In 2009 Cambodia enacted its own laws concerning refugees. If asylum seekers are found to be refugees they are given a prakas that allows them to stay legally in Cambodia but which is not accepted as a proof of identity by most employers, businesses and banks. The sense of insecurity of those seeking asylum is heightened by the memory of the 29 Uighur asylum seekers who in 1995 were deported from Cambodia to China at gun point.